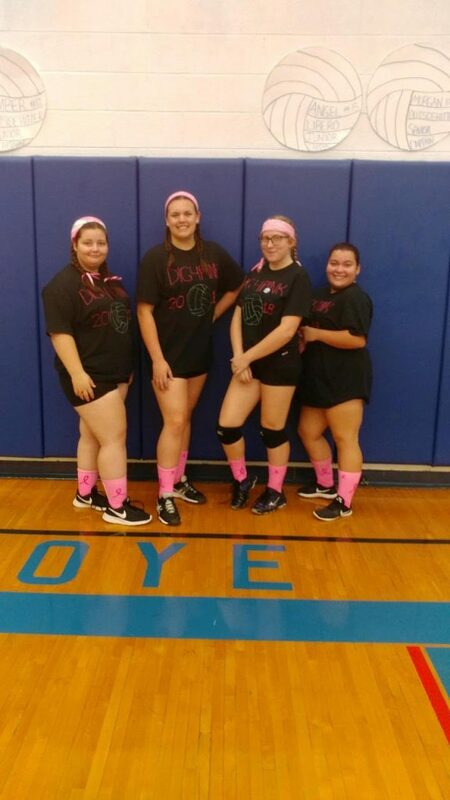 On October 9th the Honeoye Bulldog Varsity Volleyball team played in a Dig 4 Pink match with visiting Mynderse Academy. Both teams and fans donned pink attire to raise money for Breast Cancer Awareness. Through donations and bake sale proceeds, the program raised $235 for the Elizabeth Wende Breast Cancer Clinic.